I hope you’re having a fun and relaxing weekend and, of course, enjoying the incredible weather. As you may or may not know, I’m in NYC for the weekend and just several hours away from presenting my Maximum Strength Squat, Press, & Deadlift seminar. After 2-months of preparation, I couldn’t be more excited to get this seminar underway and work hands-on with the attendees to improve their strength, performance, and coaching abilities. I’ve actually gotta start heading over to the facility (it’s being held at CrossFit 5th Ave) so I need to get off my computer and make my way to the subway. In the meantime, I’ve got a bunch of great info for you in this installment of The Week in Review. 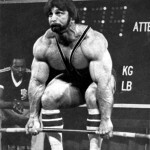 Monday’s Strength Lesson: Don’t have full overhead range of motion (ROM)? Try this drill out for improved mobility. Often times, limited overhead ROM is caused by tight shoulder extensors such as the lats and triceps. Likewise, poor upper back (t-spine) mobility will drastically inhibit shoulder flexion ROM. The Bench T-Spine Extension, as demonstrated in this video, attacks all 3 issues in a single movement. Lengthening both the lats and triceps while simultaneously working to extend the t-spine, this drill is a huge bang-for-your-buck movement that will help you get overhead safely and efficiently. Tuesday’s Strength Lesson: Looking for a challenging new ab exercise? An overall fantastic drill for improving anterior core stability, the body saw is an advanced plank variation that can not only improve performance but actually decrease your likelihood of sustaining back pain and/or injuries. Maintain a neutral spine throughout the entire movement. Don’t allow your lower back to cave in towards the floor. Keep your heels, hips, and shoulders in one line. Don’t allow your hips to hike up or sink down; you want your entire body straight like a board the entire time. – Don’t push back as far. Simply reduce the total range of motion (ROM). – Perform it on a single-leg. Wednesday’s Strength Lesson: Get your head bands and short-shorts ready because it’s time for a new installment of Sample Workout Wednesday! This specific training session is designed to improve speed and explosive power in the Squat & Deadlift. Don’t take it lightly, though, because this workout is *extremely* challenging and should be completed with minimal rest between sets. 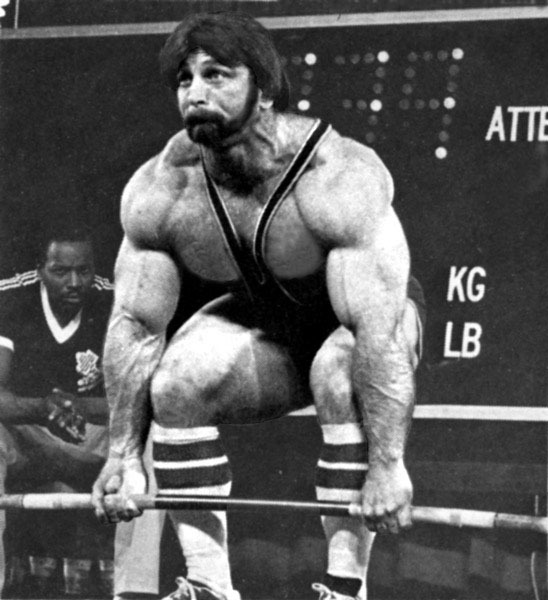 Thursday’s Strength Lesson: What is the best way to work up to a 1-repetition maximum (1RM)? Truth be told…there isn’t a single “best” way. Rather, the most ideal progression entirely depends on the individuals strength, comfort & readiness levels, not to mention a variety of other factors. That being said, I’ve designed a general guide outlining a number of important steps to take while working up to a new 1RM.